Scientifically speaking: Svenja Both and Felix Ruckl participate in a theater exercise during the German Fulbright Summer Institute organized by the Cranwell International Center. 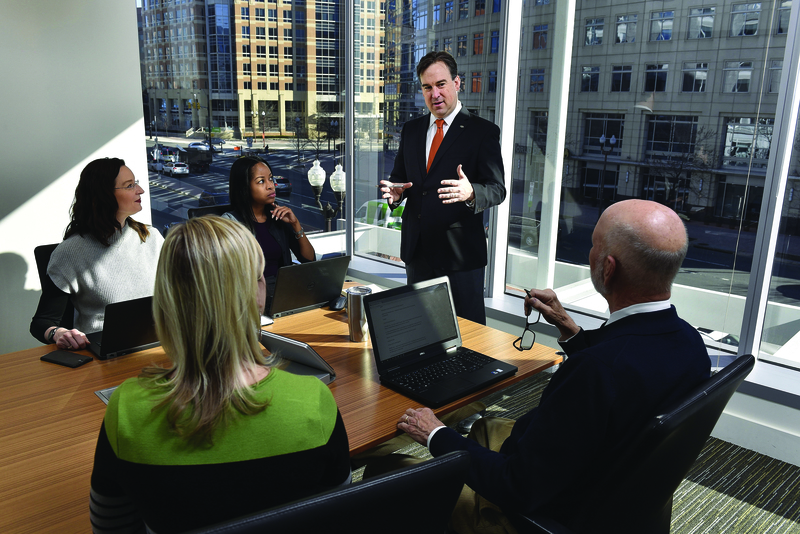 The institute, titled “Communicating Science: Communication, Collaboration, and Connection Across Differences and Disciplines,” was inspired by Virginia Tech’s graduate course in communicating science. In the spring Virginia Tech launched the Center for Communicating Science to create and support opportunities for scientists, scholars, health professionals, and others to develop their abilities to communicate and connect. “Public engagement is a critical element to solving many of our most urgent problems,” said Patricia Raun, director of the new center. The opportunities supported by the center will help faculty, students, and stakeholders build trust, engage public audiences, and bridge the gap of understanding. 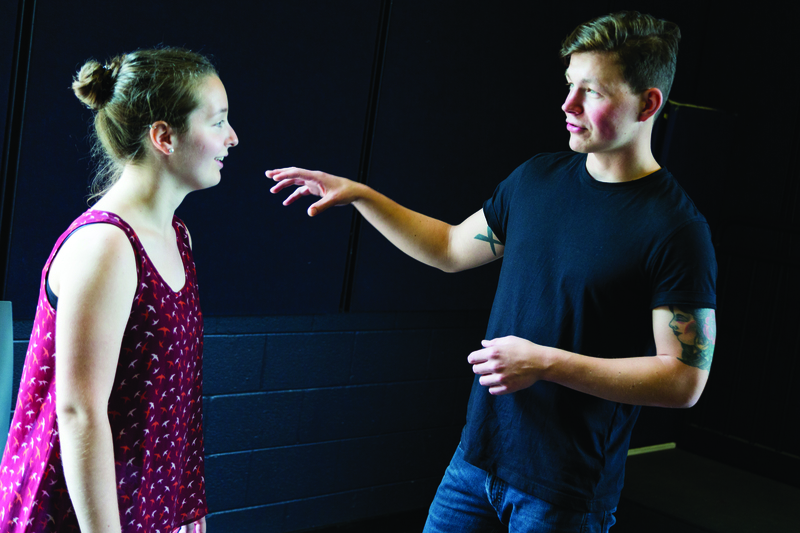 For several years, Raun and Kroehler have offered an increasingly popular graduate-level course on communicating science, based in part on the principles of improvisational theater. “The performing arts have much to teach scientists about communicating their work to a broad audience,” said Raun, a theater professor and professional actor who recently stepped down as director of the Virginia Tech School of Performing Arts to lead the new center. The Center for Communicating Science is supported by the Institute for Society, Culture, and Environment; the Graduate School; and the College of Liberal Arts and Human Sciences. 2017 Clark Scholars: Back row (left to right) Makenzie Moore, Ezekiel Volk, Nefetari Heath, and Richard Cotman. Front row (left to right) Trent Kinney, Julio Villarroel, Mia Taylor, Ricabell Pagara, Clemence Hidalgo, and Erica He. 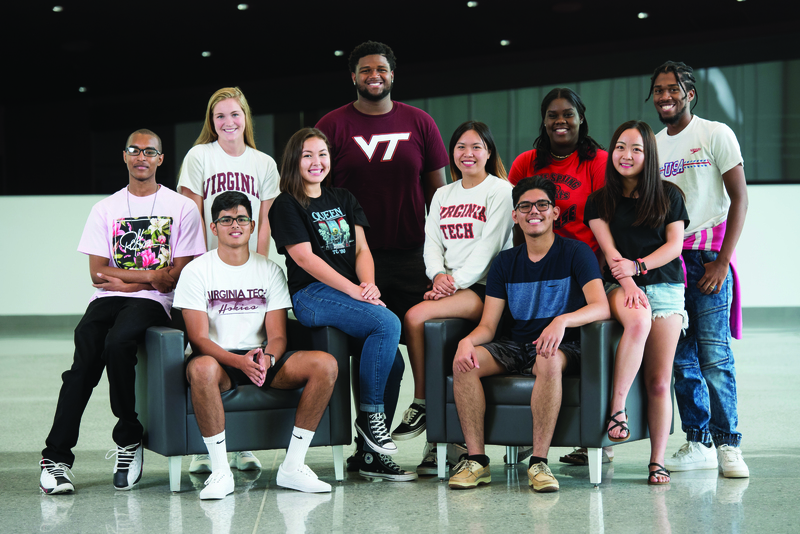 In September, Virginia Tech President Tim Sands announced a $15 million gift from the A. James and Alice B. Clark Foundation, the largest scholarship gift ever made to the university. Hokies are driven to serve, and giving back is one of the most powerful ways that they show it. 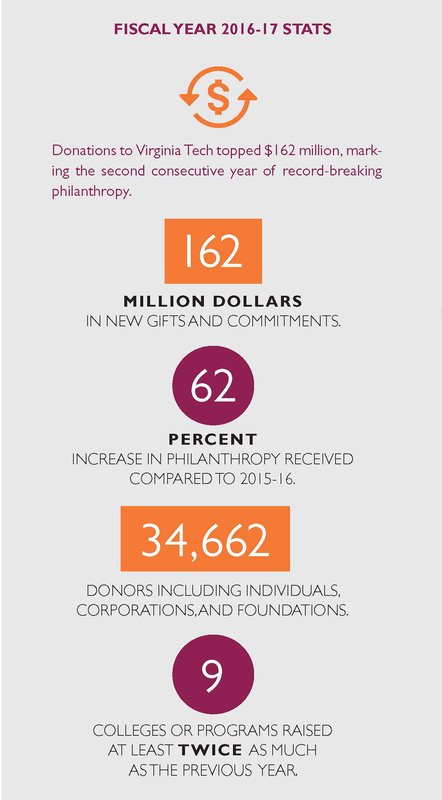 Our alumni, parents, faculty, staff, friends, and corporate and foundation partners create tremendous opportunities with their generosity. We can’t realize our potential without them. We can’t thank them enough. Virginia Tech President Tim Sands named Cyril Clarke interim executive vice president and provost effective Nov. 1. Thanassis Rikakis stepped down from the same position to become the Presidential Fellow for Academic Innovation (see below). 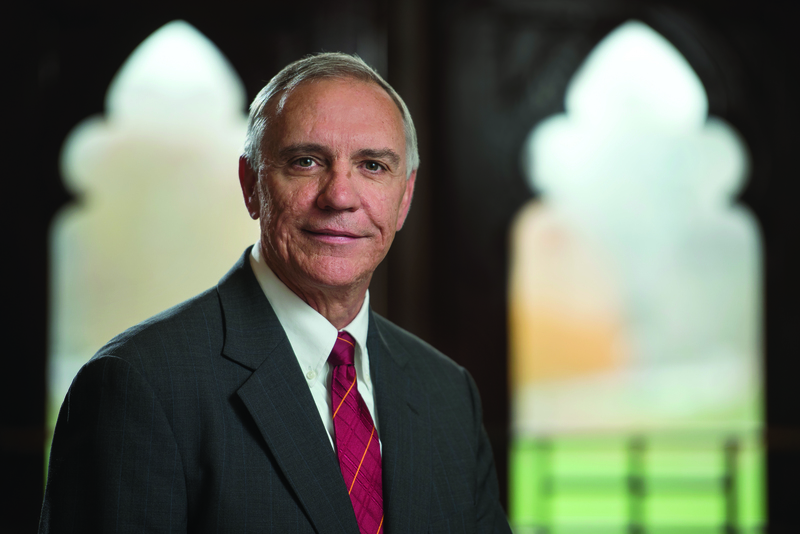 Clarke has served as the dean of the Virginia-Maryland College of Veterinary Medicine at Virginia Tech since 2013. “As a member of this community the past four years, I can see that Virginia Tech is uniquely situated to move forward boldly in ways that will shape higher education and advance our university to even greater heights,” said Clarke. Under Clarke’s leadership, the veterinary college has achieved several recent successes. In 2018, the college plans to launch its first undergraduate degree program. Together with the master of public health degree program, the undergraduate program in public health will be an integral component of the college’s One Health initiative, which recognizes the close connections between animal health, human health, and the environment. In 2017, more than 1,600 prospective students applied to enter the college’s doctor of veterinary medicine program, representing the second-largest applicant pool in North America for the third year in a row. Gregory Daniel, professor and head of the Department of Small Animal Clinical Sciences, will serve as interim dean of the Virginia-Maryland College of Veterinary Medicine. Virginia Tech will launch an international search for a new executive vice president and provost in the spring. 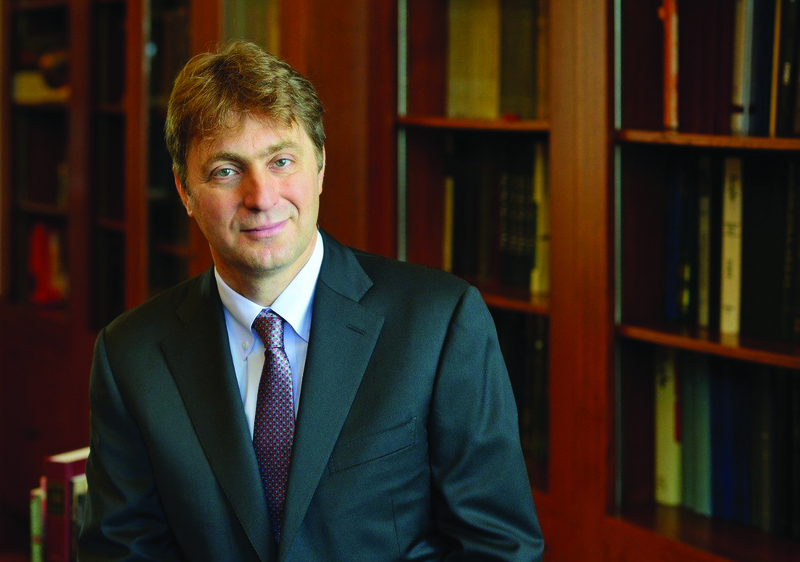 Former provost Thanassis Rikakis has been named Presidential Fellow for Academic Innovation. In this role, he will further his research on organizational change in higher education, looking specifically at concepts related to the Destination Areas and the Partnership for an Incentive-Based Budget, and he will continue his long-standing research in interactive neurorehabilitation. Rikakis holds a joint faculty appointment as a tenured professor in the Department of Biomedical Engineering and Mechanics in the College of Engineering and professor of music in the School of Performing Arts in the College of Liberal Arts and Human Sciences. President Tim Sands expressed his gratitude for the transformative work accomplished by Rikakis since joining the university in 2015. The 2017-18 academic year began with new deans in three Virginia Tech colleges: Rosemary Blieszner, College of Liberal Arts and Human Sciences (CLAHS); Richard Blythe, College of Architecture and Urban Studies (CAUS); and Julia Ross, College of Engineering (COE). Blieszner, who previously served as interim dean, will continue to lead CLAHS through June 2019. A faculty member in the Virginia Tech Department of Human Development since 1981, Blieszner was named a Virginia Tech Alumni Distinguished Professor in 2002. Only 10 members of the university faculty hold these endowed professorships. 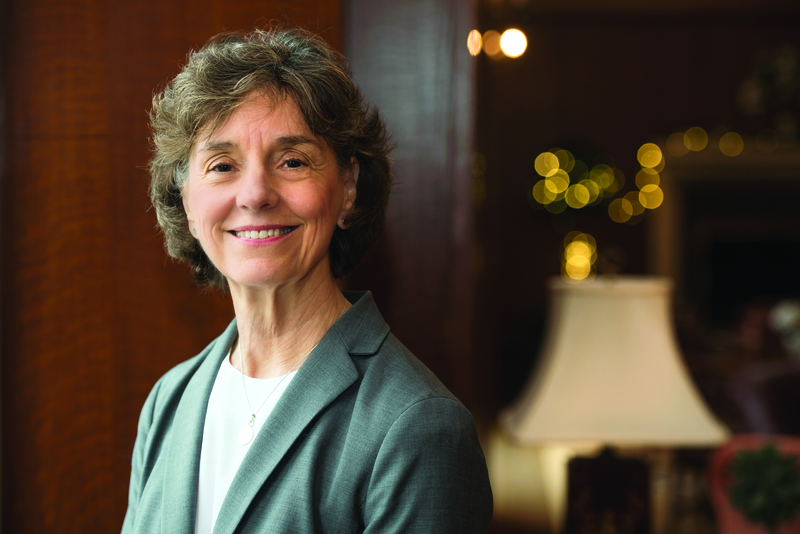 For more than 30 years, Blieszner helped lead the university’s Center for Gerontology, and she served as an associate dean of the Graduate School from 2009 through March of this year. Recently, Blieszner chaired the Steering Committee of the university’s visioning initiative, Beyond Boundaries. Blythe is an award-winning architect and educator with more than 25 years in higher education and architectural practice. 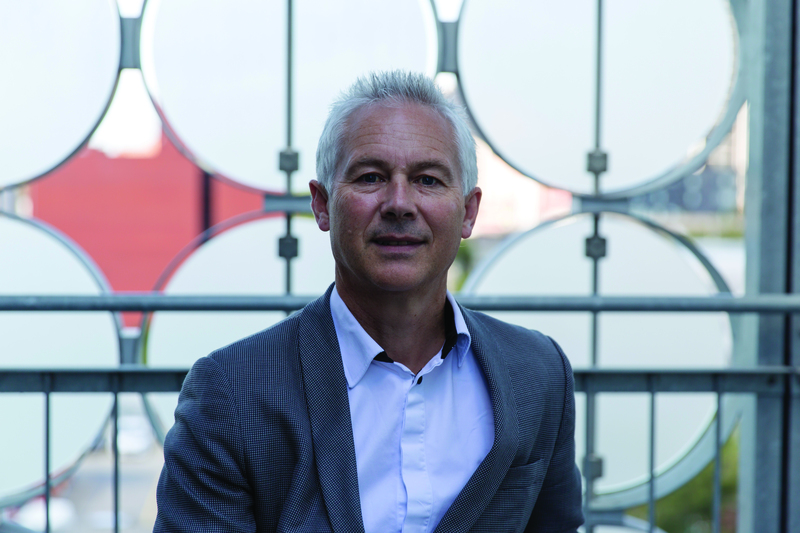 Prior to joining Virginia Tech, he served as professor and dean of RMIT University School of Architecture and Design in Melbourne, Australia. Blythe, who lectured at the University of Tasmania for 14 years, was the vice chancellor’s representative on the Tasmanian government’s Building and Construction Industries Council. A founding director of the architecture firm TERROIR, Blythe continues to contribute to the practice. As the College of Engineering dean, Ross will hold tenured appointments in the departments of Chemical Engineering and Engineering Education at Virginia Tech. Previously dean of engineering and information technology at University of Maryland Baltimore County, Ross researches the role of fluid mechanics in infection formation in the cardiovascular system. In October, Ross was elected to the executive committee of the Global Engineering Dean’s Council, which works closely with engineering deans from around the world. As a materials scientist, Steve McKnight (materials science and engineering ’90) was motivated by asking the right questions. In 2014, Virginia Tech offered McKnight the key to drive the efforts to answer that question, naming him vice president of the NCR. Today, the university isn’t just in the room, it’s leading the way. As a student at Virginia Tech, McKnight began to discover the answers. 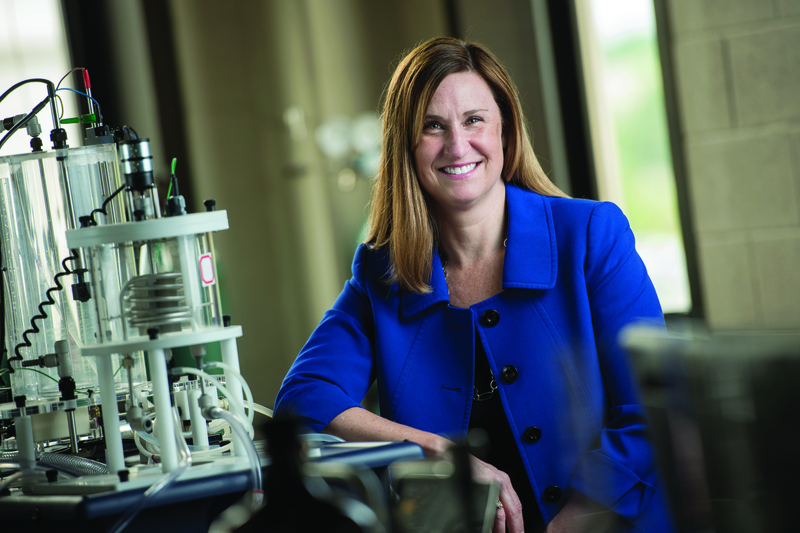 Prior to joining Virginia Tech in the NCR, McKnight spent five years as division director for civil, mechanical, and manufacturing innovation within the NSF’s Directorate for Engineering. He established a reputation for promoting interdisciplinary research collaborations and cultivating interagency partnerships. Earlier in his career, he worked at the U.S. Army Research Laboratory, progressing through a number of leadership positions, from team leader in the polymers research branch to serving as chief of the materials division. McKnight’s research focused on advanced polymer composite materials and polymer adhesion science. About 36,000 people passed through the Smithsonian’s National Museum of American History in Washington, D.C., for the three-day ACCelerate: ACC Smithsonian Creativity and Innovation Festival held Oct. 13-15. 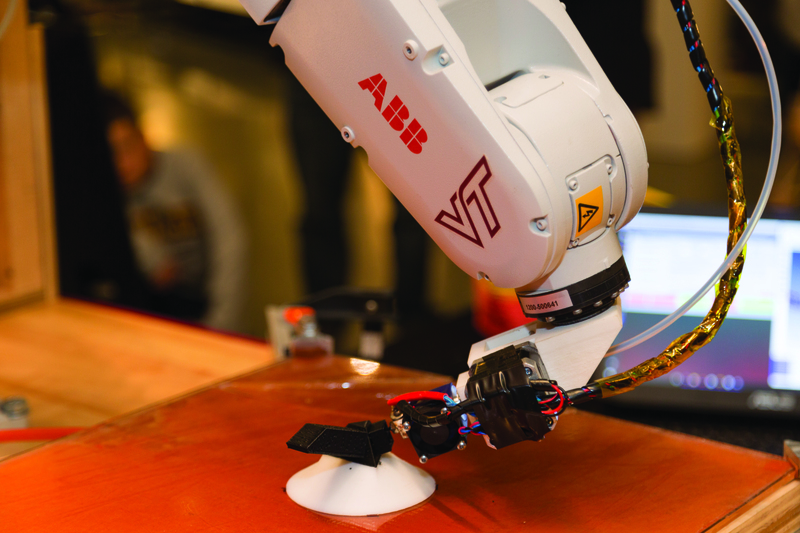 Virginia Tech’s Institute for Creativity, Arts, and Technology and Smithsonian’s Lemelson Center for the Study of Invention and Innovation hosted the festival. It showcased connections between art, science, engineering, and design from 15 universities from the Atlantic Coast Conference. Virginia Tech’s Design Robotics: Robot Assisted Fabrication exhibit featured this six-axis robotic arm. To learn more about the event, go to vtmag.vt.edu. Virginia Tech’s Campus-to-Campus Bus launched over the summer to provide employees, students, and their guests with safe and convenient transportation between the university’s campuses in the Blacksburg/Roanoke and Ballston/Arlington areas. Each of the three Abbott Transportation buses in service is equipped with free Wi-Fi and have electrical outlets at each seat. The full-size charter buses have seatbelts, reading lights, reclining seats, and a restroom. The bus departs from and arrives in Blacksburg and the National Capital Region twice each weekday and once each weekend day. It operates year-round, except on university holidays.